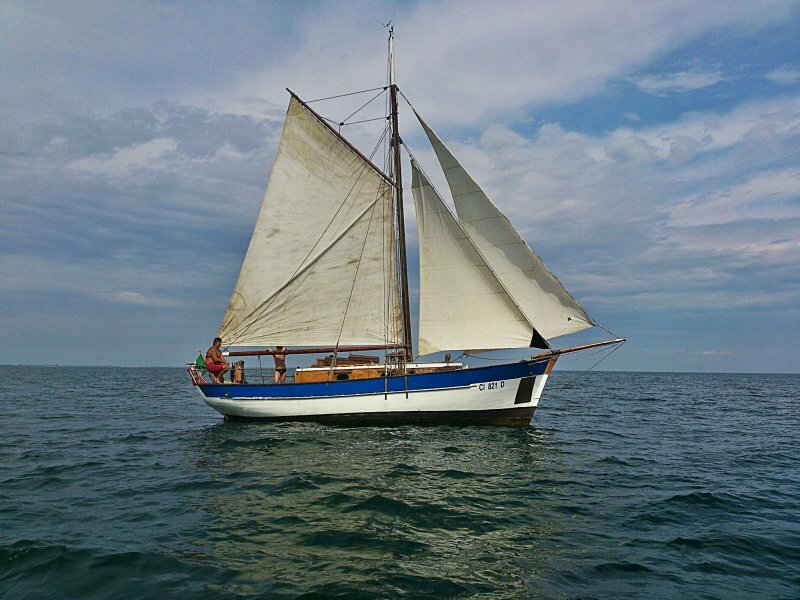 My boat is a 34′ gaffer, built in Italy in 1964 by the boat builder Mario Scipione, in his boat yard in Lazio. It’s maiden name was NORMA, changed to La DOMINANTE and again to ELLEGNO. The previouse owner had semi-abandoned her in a canal near Venice (Italy) where I found her purchesed and started the restoration. 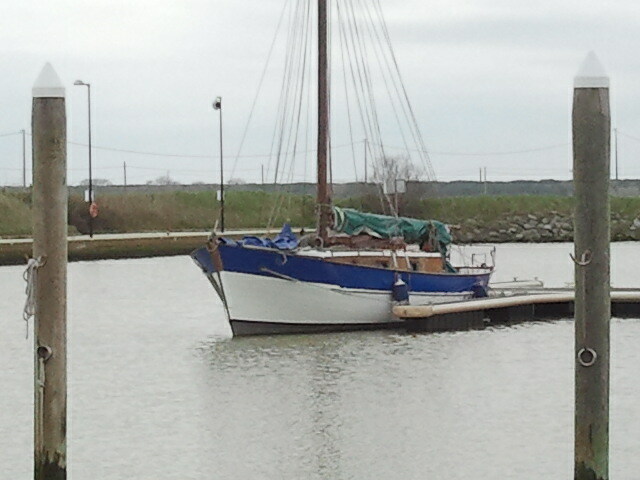 She is now berthed at Casal Borsetti. 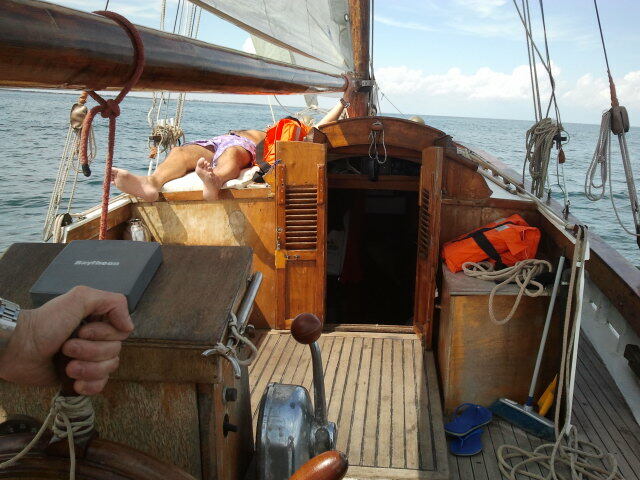 The main sail is original but the two fore sails I made them at home using two old main sails that were given to me for free.